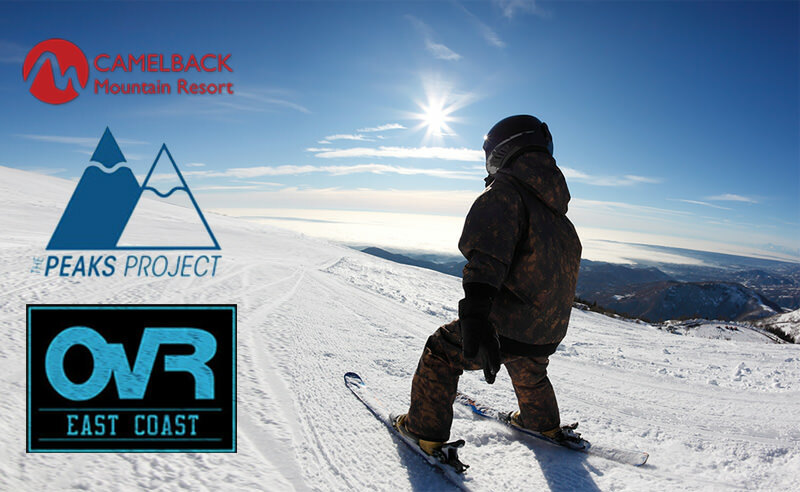 Since OvR’s founding, our mission has been to share and promote our passion for snowboarding and skiing. That’s why we were so honored when The Peaks Project approached us with a program to give underprivileged children a chance to experience the mountain. The foundation’s goal is to teach New York City’s youth how to ski and snowboard. 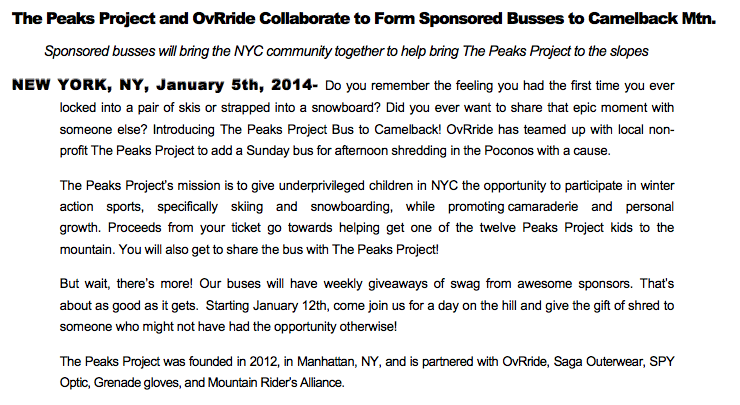 This year OvR is super proud to partner with The Peaks Project to present Camelback Midday Sunday Trips. These trips will provide New York City youths the availability to experience the joy of snowboarding and skiing. In addition a portion of the proceeds generated from guests booking these trips will go to help facilitate the operating cost of The Peaks Project. How cool is that? You get to enjoy a day on the hill and help underprivileged kids with their introduction to these sports. For more check out the Peaks Project Update! 600 Lafayette Ave 143 Roebling St. Please check out The Peaks Project website for more information on the foundation as well as how you can help. Book one of these trips to assist OvR and The Peaks Project give inner city youths the experience of the mountain. This entry was posted in Fundraiser, Trips and tagged grenade gloves, mountain rider's alliance, New York City, saga outerwear, spy optic, The Peaks Project. Bookmark the permalink.